Are you attending the Democratic National Convention in Denver? Or do you live in the area and are on the scene? Share your pictures and video. 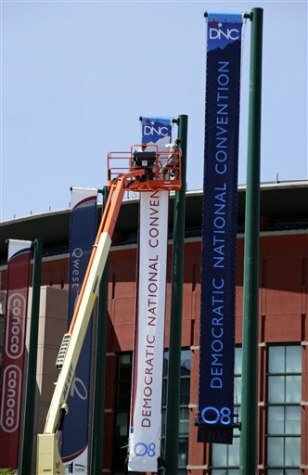 Workers hang Democratic National Convention banners outside of the Pepsi Center in Denver, in preparation for the start of next week's events.